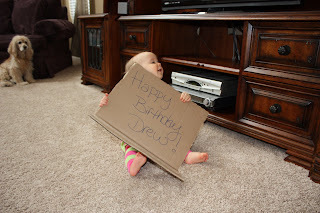 The Loves of Jenn: Happy Birthday Drew! This little boy has stolen my heart from the first time I met him when he was just a couple of weeks old. 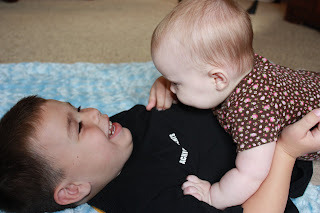 He is Randi's second born and oh, how we love him! 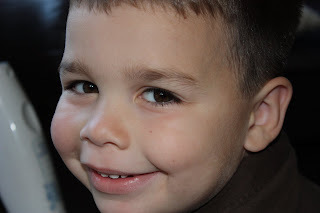 He is 5 today! HAPPY BIRTHDAY DREW!!!!! Uncle Shaun and Aunt Jenn wish we could see you on your birthday. Julianne wishes she was there to play with you again and tackle you!!!!! You are a very special little boy and we love you! We can't wait to see you in April! Thanks (Drew says!) He was very excited to see his picture on your "computer page"! He did say that he wished that Julianne could have one of his Spiderman cupcakes....she would have loved the loads of frosting on them!